More than 1,200 global industrial academics, defence, security and government specialists will be in Abu Dhabi next week for a major industry event which will discuss the impact of the Fourth Industrial Revolution (4IR) on defence, security and offset sectors. 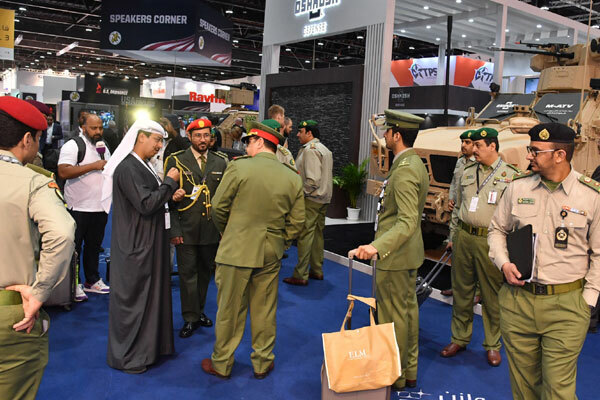 The upcoming edition of the International Defence Conference (IDC) 2019 will run from February 14 to 16 at Emirates Palace Abu Dhabi as a precursor to the 2019 International Defence Exhibition and Conference (Idex) and the Naval Defence and Maritime Security Exhibition (Navdex). Defence ministers from various countries besides senior government officials, high-ranking military officers, eminent academics and leaders of renowned defence companies from around the world will be among the distinguished speakers participating in IDC. Aimed at consolidating the status of the UAE as a leading global hub for specialised conferences, the event will focus on four key areas: offset, security and stability, economy, and innovation and artificial intelligence (AI). It is being held under the theme of ‘Shaping Our Shared Future: Strengthening Our Security and Prosperity through Innovation’, said the event organisers. Idex and the Abu Dhabi International Offset Conference (ADIOC), which is organised by the Tamazun Economic Council, are being combined for the first time to create a comprehensive global forum to examine the latest developments in the defence, security and offset sectors as well as the impact the 4IR may have on these domains, particularly in terms of innovation, manufacturing and human capital development. Following the opening ceremony, Sultan bin Saeed Al Mansouri, Minister of Economy, will address the topic of economic diversity in the 4IR era, while Omar bin Sultan Al Olama, Minister of State for AI will share insights on AI and innovation. In addition, on the opening day, Saeed Al Gergawi, the director of the Dubai Future Academy, will moderate a panel discussion titled ‘Leveraging Offset as a Catalyst/Enabler of Economic Diversification’, said the organisers. Panelists will include Tareq Abdul Raheem Al Hosani, CEO of Tawazun Economic Council, Ahmed bin Aqeel Al Khateeb, Chairman of the Board of Directors of the Saudi Arabian Military Industries, Mitchell Butta, Sector Director for Global Industrial Positioning at Northrop Grumman, and Professor Ron Matthews, Cranfield University Chair in Defence Economics at the Defence Academy of the UK. Hadley Gamble, Reporter and Anchor at CNBC, will serve as moderator of the second session, ‘Security in the 4IR Future’. The panel will feature Marko Erman, Chief Technology Officer at Thales Group, Air Marshall Jitendra Kumar Singh, Director General (Systems) at the Indian Air Force, Howard Bromberg, Vice President for Air and Missile Defence Strategy and Business Development at Lockheed Martin, and Martin Sion, CEO of Safran Electronics and Defence. The third session panel, themed ‘Optimising Innovation Efforts and Aligning Innovation Priorities’, will comprise Peter Bergen, Co-director of the Center on Future of War, Sean McGurk, Vice President for Cyber Services at DarkMatter, Professor Uday Desai, Director of the Indian Instituite of Technology Hyderabad, and General Sir Christopher Deverell, Commander of the UK’s Joint Forces Command. The second day will commence with an address on "Security and stability in the Fourth Industrial Revolution" by His Excellency Mohammed bin Ahmad Al Bawardi, Minister of State for Defence Affairs. Next on the agenda, Sarah bint Yousif Al Amiri, Minister of State for Advanced Sciences, will present a talk on ‘Science, Technology and Innovation in light of 4IR’, followed by an address by Michio Kaku, Professor of Theoretical Physics at The City College of New York, on the topic ‘Future World in light of 4IR’. The day will continue with a discussion ‘What is the 4IR Economy’ comprising panellists Saif Mohamed Al Hajeri, Chairman of the Department of Economic Development – Abu Dhabi, Giovanni Tria, Italian Minister of Economy and Finance, and David Johnston, Australian Defence Export Advocate. Tate Nurkin, the founder and CEO of OTH Intelligence Group, will moderate the second session on ‘Next Generation Stablisation and Reconstruction Missions’. Panelists will include Lieutenant General Steven M Shepro, Deputy Chairman of the Nato Military Committee, Dr Mohamad Maliki bin Osman, Singaporean Senior Minister of State for Defence and Foreign Affairs, and General Joseph Votel, Commander, US Central Command. Dr Mohamed Hamad Al Kuwaiti, Executive Director of the Signals Intelligence Agency, will moderate the final panel discussion of the conference, themed ‘Understanding the Age of Cognitive Warfare’. Emmanuel Chiva, Director of the French Defense Innovation Agency, Herve Guillou, Chairman and CEO of Naval Group, and Micael Johansson, Deputy CEO and Senior Executive Vice President of Saab, will participate as panelists.